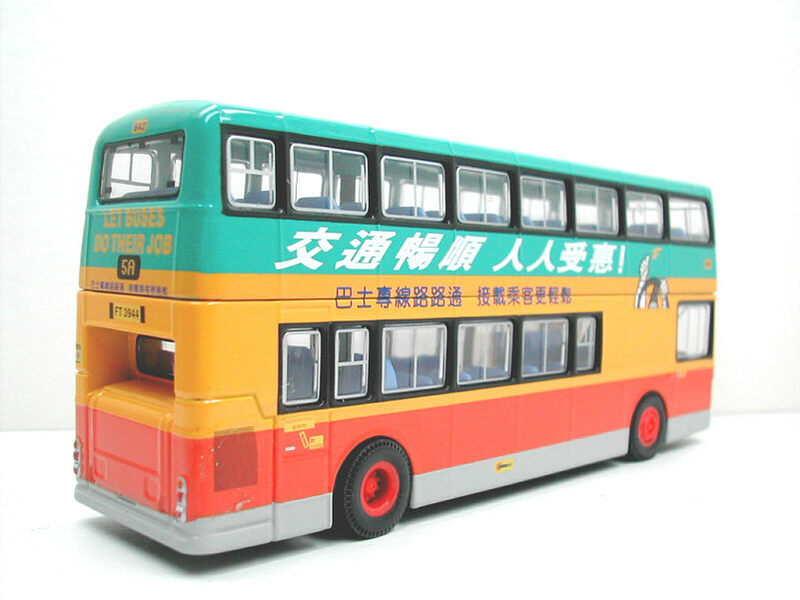 The model - this new casting was first announced on this site in March 1999 and it was release in Hong Kong in May that same year, with examples becoming available in the UK during June. 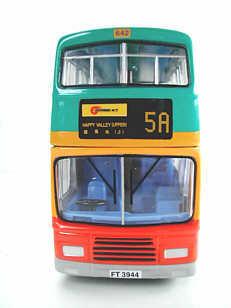 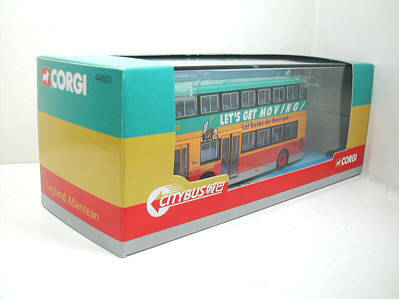 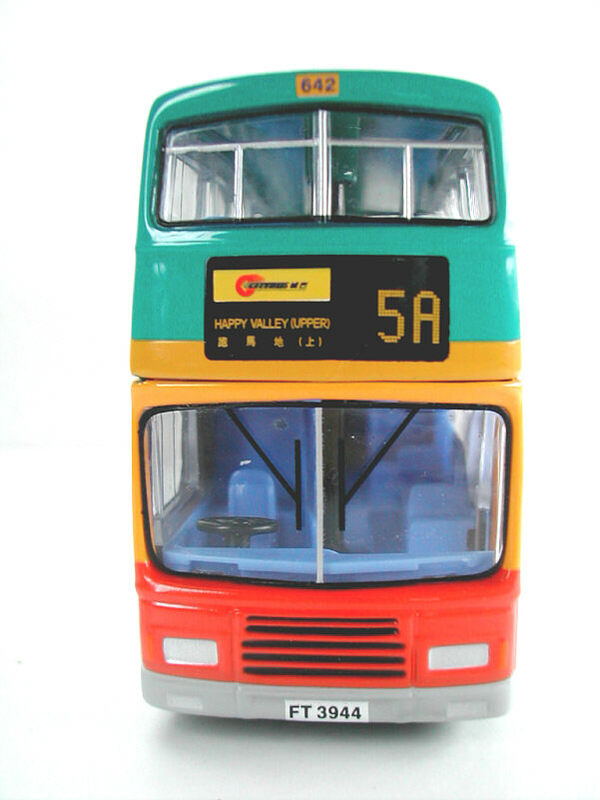 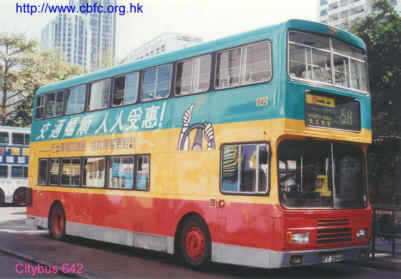 The bus - Citybus was granted the franchise for 26 bus routes, that were originally run by China Motor Bus, in September 1993. 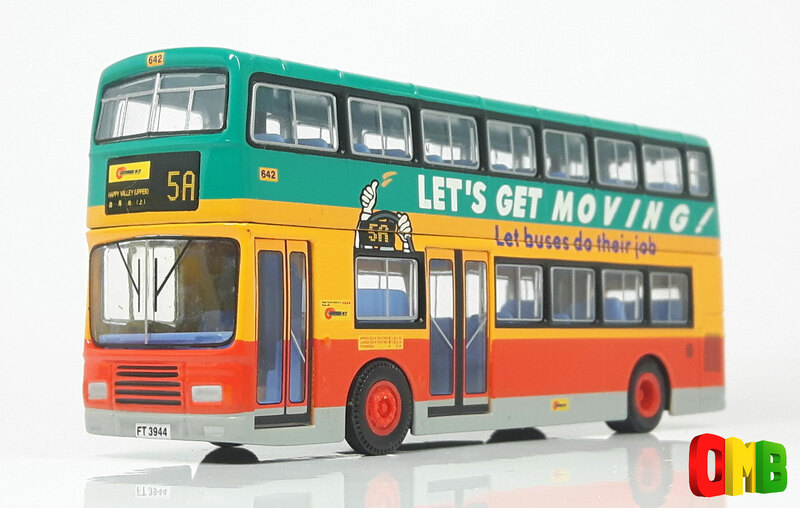 Such an expansion of the company's network needed an additional 200 buses, and Citybus realised that it was not possible to acquire such a larger number of new buses from manufacturers in the given period of time. Therefore the Company decided to introduce 100 secondhand Leyland Atlanteans AN68s with Alexander L-type body from Singapore Bus Service, and the remaining 100 buses were purchased new from Volvo (Leyland). 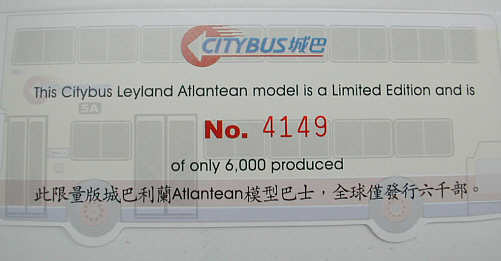 In order to unify the Company's image, and also to enable components to be shared with other types of buses in the fleet, Citybus converted the front of the Atlanteans into R-type style. 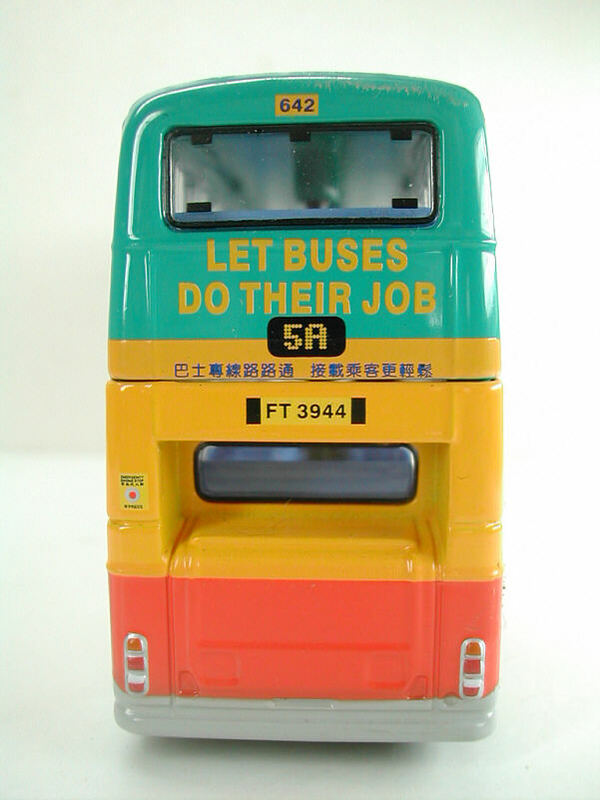 When the buses joined the fleet, they received the 600-series fleet numbers. 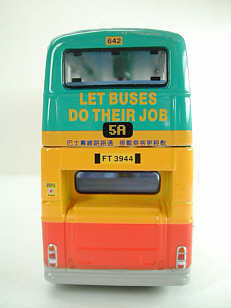 This overall livery was produced by the Government Information Services department and was to encourage people to take the bus.